Kanye West has been known for his music career since the late 90s. From The College Dropout to Yeezus, Kanye has released six number one albums. Kanye started his first fashion line in 2011 however it did not receive good reviews. In 2012 he started a second line that was well received by fashion critics. Since his two lines Kanye has been slowly making a name for himself in the fashion industry. 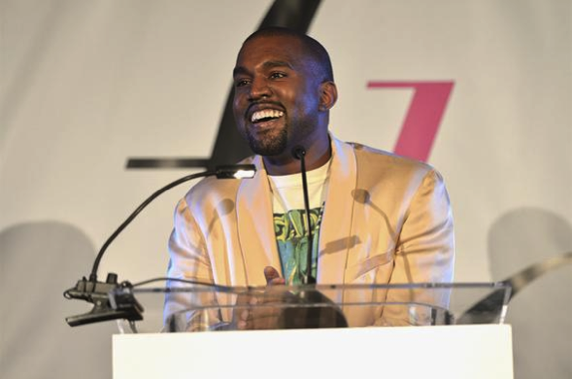 Kanye West is known for his crazy antics and everyone took notice again during his 8-minute speech at the Fashion LA Awards on January 22, 2015. At the end of Kanye’s speech he stated he did not know if he made any good points during his speech however, one point stood out to me… fashion is God. Through fashion we are creating something new. Designers create clothing that is seen around the world and is used to reflect who we are. Everyday designers are brainstorming new ideas of what fashion is at that moment, simultaneously realizing ideas of what fashion is going to become. Clothes designers create are what we use everyday to express ourselves. Do you ever wake up and say, “I do not care I am just going to throw on a hoody?” Whether you realize it or not you are participating in fashion, you are wearing someone’s designs. In every day life we utilize the natural resources God created just like we wear what designers have created. Designers get to play God.